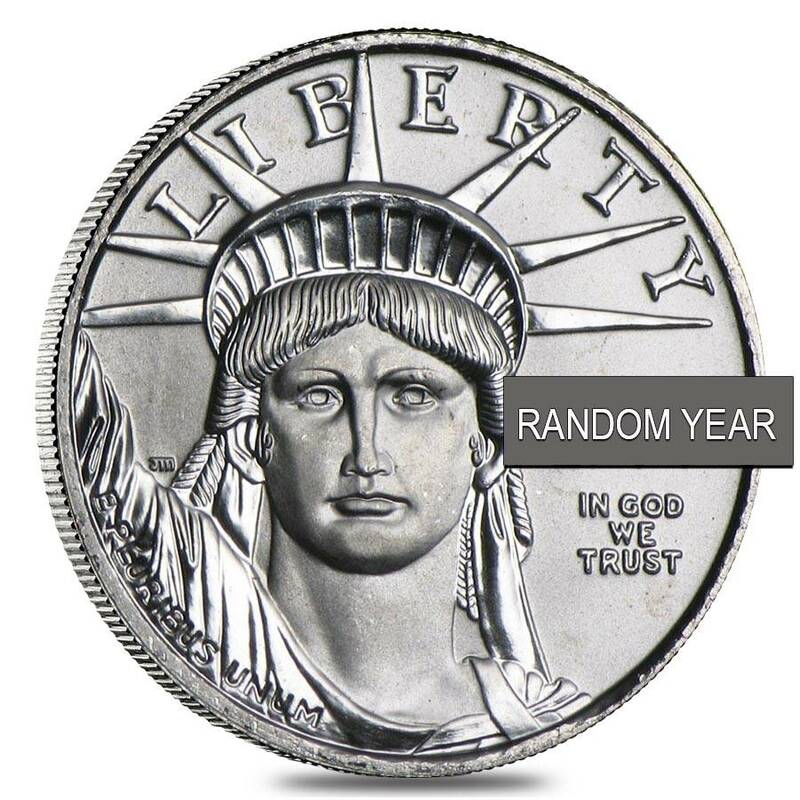 This 1/10 oz Platinum American Eagle BU (Random Year) will make a great addition to your collection. The year is chosen based on our available inventory. The obverse features the Statue of Liberty. Inscriptions include “IN GOD WE TRUST,” “LIBERTY,” and the year of mintage. 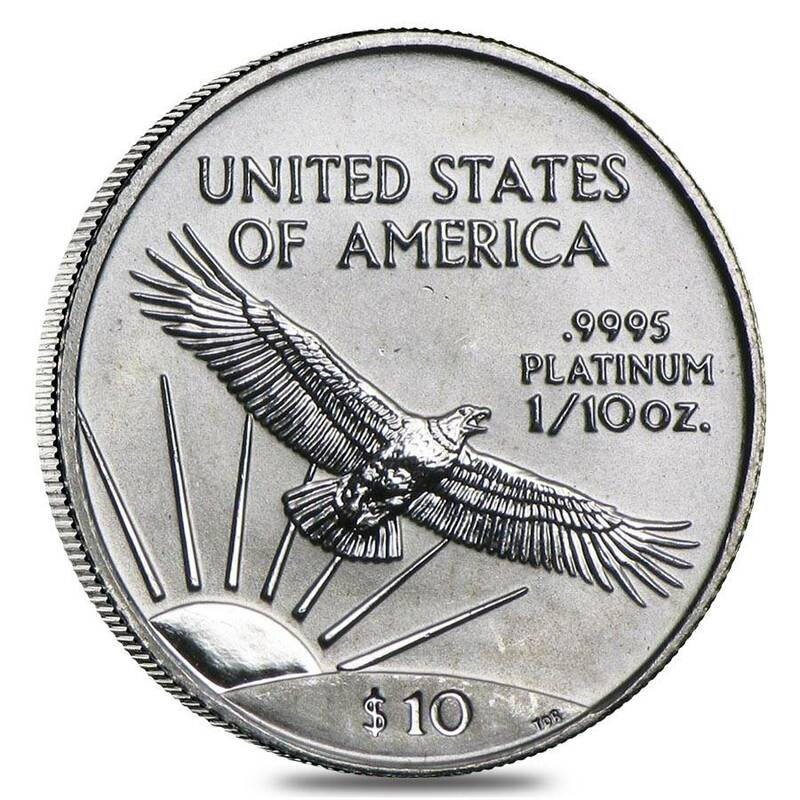 The reverse shows a flying eagle with the sun rising in the background. Inscriptions include “UNITED STATES OF AMERICA," along with the weight and denomination. Before placing my order by phone I had a ton of questions about the product which were all happily answered by one of BE's managers! 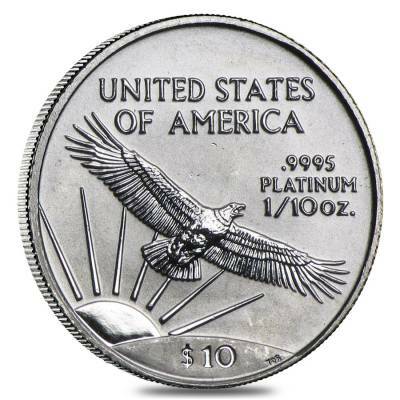 I was more than satisfied with purchasing this Platinum American Eagle which came in perfect condition and super quick! For all my coin needs I will be using Bullion Exchanges!!! Thanks for the fast shipping on this platinum eagle. came earlier than expected and in perfect condition. Will be doing more business with Bullion Exchanges! With this purchase, you earn 148 Bullionaire Bucks 148 BB = $0.15. For every $1 spend, you will earn 1 Bullionaire Buck which is equivalent to $0.001 off a future purchase. 148 BB = $0.15.